At Campsite Le Moulin du Monge in Lourdes (Hautes-Pyrénées) camping costs as little as €12,- per night during low season with CampingCard ACSI. At one of the 55 touring pitches you will get a discounted rate during the period 01-04-2019 - 07-07-2019 and 24-08-2019 - 08-10-2019. At this campsite you can not only use your CampingCard ACSI for inexpensive camping, you can also use your ACSI Club ID (as an alternative ID). A three-star campsite located on the edge of Lourdes. Good amenities. Spacious pitches and reasonable shade. Camp shop, sauna and heated swimming pool. Basic, clean toilets. 5 minutes from the centre. Supermarket close by. Bus stop by the entrance to the campsite. Free wifi on entire campsite. Refurbished toilet facilities in 2018. The hostess of this campsite was so welcoming and extremely helpful. Immaculate clean, lovely campgrounds, toilet roll provided. Small shop on site sells all the essentials. We got a taxi into Lourdes on Saturday evening, grotto open till midnight, candlelight procession was lovely. We would definitely come back to this campsite again. Nice clean site. One very big thing to note is that this lovely little campsite with a very nice little pool is...... it's right next to a very busy train track and a very busy main road junction. If you don't mind getting up early it's ok. We enjoyed our stay. 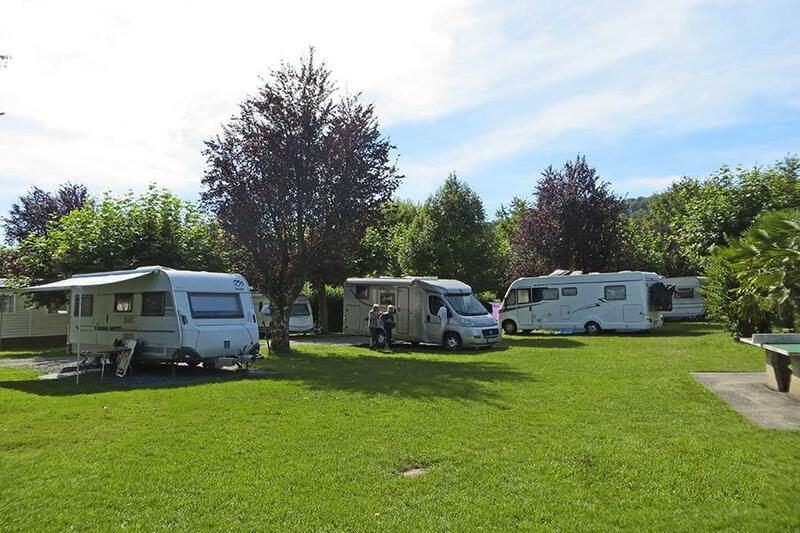 Very nice campsite close to Lourdes. Helpful owners and nice pool. There is a slight problem with road noise, but will visit again as close to Lourdes. Would you like to book Campsite Le Moulin du Monge or request more information? You can do both using the information below. From Tarbes turn left just before Lourdes (Zône industriele de Monge). Campsite 100 metres on the left. CampingCard ACSI will send your information request to "Campsite Le Moulin du Monge".